In MFS, moving mobile money beyond P2P transfers remains both the Holy Grail and the “chicken-and-egg” conundrum. P2P transfers are the easy and obvious use case: customers need to transfer money from point A to point B, and do not have a bank to act as an intermediary. The alternatives available to such people are (i) to spend large amounts of time delivering the cash in person while running the risk of being robbed; (ii) entrust the cash to someone else to carry, which carries with it the risk of theft or robbery; or (iii) using the services of a money transfer operator (MTO), which incur an often substantial fee as well as visits to the MTO’s offices and agents for both the sender and recipient. By allowing unbanked consumers the opportunity to send money from an easily accessible mobile phone (if not their personal one) to a mobile that was easily accessed by the recipient (often their own phone), mobile money P2P transfers is a real solution to a real problem. Of course, if the recipients of mobile money transfers want to cash-out the remittance they have received, they have to travel to a mobile money agent where they can do so. However, as the former CEO of Safaricom, Michael Joseph, told the recent Mondato Summit Africa, in a successful mobile money market, “You need a mobile money agent on every corner. It’s like Starbuck’s — that’s what you have to have.” As a result, even a basic cash-in cash-out transfer is significantly more convenient than using an MTO, simply due to the ubiquity of mobile money agents in comparison to those of the various MTOs. On top of this, however, mobile money offered an additional value proposition: having mobile money in their mobile wallet meant that customers could conveniently top-up their pre-paid mobile (which remains by far-and-away the most popular form of mobile phone payment in Africa) from the money received onto it without the need to make a trip to a vendor of the phone company’s recharge cards (who in many cases was the one and the same person as the mobile money agent referred to above). This replication and augmentation of consumer behavior that existed prior to the introduction of the mobile money product is one of the key factors that has allowed its rapid and wide-scale adoption in many markets. In addition to P2P transfers and airtime top-ups, mobile money (MM) has expanded into bill pay, and these three types of transactions account for the vast majority of MM transactions: 97% by volume or 89% by value globally. Noticeable by its absence from this trifecta of MM conquests is the area of merchant payments, which of course accounts for the vast majority of payment transactions (in volume) that any individual is likely to make, and which in value terms make up a much more significant section of the economy (even in Kenya, the market is 98% cash, according to Safaricom’s CEO). It was with this in mind that in 2012 the GSMA asked the question “Can mobile money work for merchant payments?”, and in an attempt to provide a follow-up answer to that just last week the Helix Institute of Digital Finance published a piece by Annabel Lee of MicroSave Africa and Ben Lyon, Vice President of African business management software company Kopo Kopo. For the digitization of the economy in developing markets, or the convergence of electronic payments and mobile technologies in developed markets, to take place merchants are the key to success. The significance of cash’s 89% share by value is obvious, but the 98% share by volume is to some extents the more important one, representing as it does the payment habits of people as they go about their daily lives. As Ignacio Mas has pointed out, if they have cash most people will pay by cash, both because it is a habit and because it is convenient. It is only when the convenience of paying by card is greater than the inconvenience of having to go to an ATM and obtain cash that paying by card becomes the default option. In the Helix Institute post, it is noted that “merchant payments add another use case for mobile money by enabling customers to pay for goods and services from the value stored on their mobile wallets… and it incentivizes them to store money electronically as it becomes more useful [sic] tool for making payments.” This, of course, sounds much simpler in theory than the reality actually is. The most successful mobile payments app in developed markets, that of Starbucks, rewards consumers for paying with it as a means to incentivize them to store value on it. 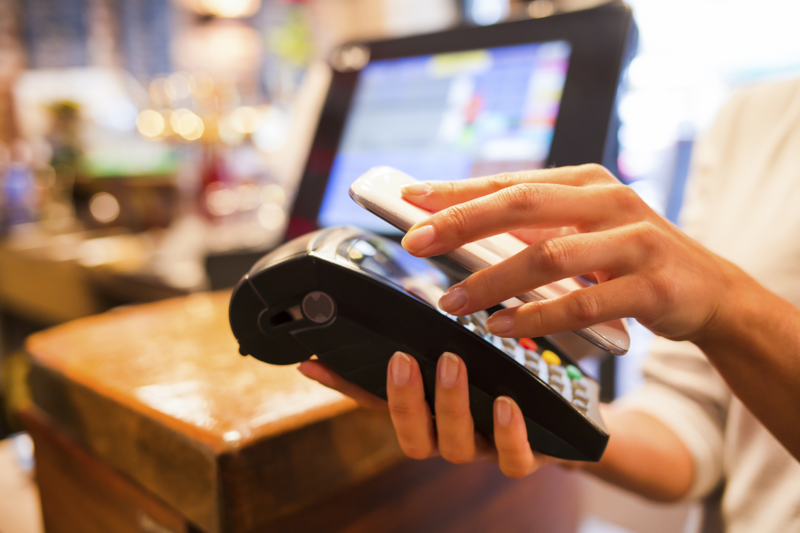 Being able to pay with your mobile wallet is not in itself a huge incentive to lock up money that can only be used at, initially, a limited number of merchant stores, when you have in your pocket a convenient cash alternative. The facile answer to this problem would appear to be recruiting more merchants into the network until it has reached scale. This was the means by which debit cards obtained widespread usage: flooding the market with POS terminals for merchants and putting the cards into the hands of consumers. Unfortunately, however, this solution will not work for precisely the same reasons that mobile wallets on their own have struggled as a payments mechanism: debit cards are linked to value that has already been stored in a bank account, making them automatically useful. The missing link for MM still has to be put in place. Massive governmental action in the form of G2P payments and salaries has often been touted as the answer, however this is not going to provide the missing link, even if the merchant side of the “chicken-and-egg” is solved, if habit and convenience mean that all the funds are withdrawn in cash as soon as they are received. Acceptance and adoption are best achieved through incremental change of behavior that is already internalized, as mobile money’s success itself demonstrated. In this light, Kenya’s Equity Bank’s recent acquisition of an MVNO license shows the potential for banks to play a leading role in fostering the habit of mobile payments, and creating a social and aspirational incentive to use them. In most African countries, where ATM penetration is low, the potential for the better-off banked segments of society to value the convenience of MM payments over the inconvenience of obtaining cash is clear. As Mondato previously noted, Equity Bank’s Overlay SIM will be NFC enabled, potentially paving the way for contactless payments via the Visa or MasterCard systems which may be linked directly to bank accounts. Here, however, Equity and other banks face the same problems as MMOs: merchant acquisition, and the thorny question of who pays for processing transactions, the consumer or the merchant. Given the rivalry between Equity Bank and Safaricom in Kenya, and the failure of their joint venture, the M-KESHO savings product, it will be interesting to see what innovation may be produced by the creative tension between them. And while payments were not at the forefront of Equity Bank’s MVNO purchase, it means that Safaricom may have a serious competitor in a developing aspect of the MFS space, rather than in the area that they dominate. Ignacio Mas opined that savings products were going to be the engine that fuels retail payments: that would appear to put Equity Bank in prime position to lead the way, though in a manner that could be beneficial to Kenya’s MNO’s merchant payment systems. If this turns out to be the case, then the MFS world will possibly be looking again to Kenya to try and learn how to take MFS to the next level in their own countries.